The World Gold Council begins its report with a short summary of 2017. The organization points out that gold performed relatively well, given the fact that the global economy picked up, risk assets rose in value, while the Fed hiked interest rates three times. Against this backdrop, the price of gold in U.S. dollars rose 13.5 percent, the biggest annual gain since 2010, actually outperforming many other asset classes. But this is the past. In our reports we care about the future: first of all, your future and we’re working on adding as much profits and sunshine to it as possible and, secondly, we care about gold’s future. As far as the latter is concerned, the WGC identifies for key themes that will drive the global economy and the gold market: synchronized global economic growth; shrinking central bank balance sheets and rising rates; frothy asset prices; market transparency, efficiency, and access. Let’s analyze them critically. Global growth increased in 2017 and the market expects that the growth will continue or it will even accelerate in 2018. According to the WGC, continued economic growth will be positive for the gold demand, as rising incomes would translate into higher demand for gold jewelry, gold-containing technology (think “smartphones”), as well as for gold bars and coins. Nonsense. Or maybe not, actually it might be true in a way: rising incomes could imply higher demand for gold-containing technology, etc. But it doesn’t mean that strong economic growth implies higher gold prices. It would be in contradiction to the safe-haven role of the yellow metal. Gold prices aren’t mostly driven by jewelry or technology demand, but by investment demand. And investors buy gold when they are afraid, or, actually, when they question the status of the U.S. dollar. Gold prices have been rising in the last months not because of strong economic growth and rising incomes, but because of the revival of the major economies outside the U.S. As the global economy flourishes, investors are pulling funds from the greenback, which ceased to be the only safe currency in town. As an anti-dollar, gold benefits during this process. The WGC notices that the continued global economic expansion will likely result in tighter monetary policy. As higher interest rates increase the opportunity costs of investing in gold, the normalization of the central banks’ stance should be negative for gold. However, the WGC believes that the implications for gold are more nuanced. This is because the quantitative tightening may put financial markets under pressure. And with high indebtedness, governments (but households as well) should be more sensitive to changes in interest rates than in the past. Fair enough. We could even add that the expected shrinking of the central banks’ balance sheets may be positive for gold, as it should narrow the divergence in monetary policies among the major central banks in the world. However, there is a catch. There is always a catch, isn’t? We mean that the Fed failed to tighten financial conditions. And the markets are far from being under pressure. As the chart below shows, the St. Louis Fed Financial Stress Index remains at a very low level, despite all the monetary policy tightening. So gold may not be boosted by a tightening, as there is no tightening at all. Actually, gold prices have been rising recently despite the decreasing financial stress. 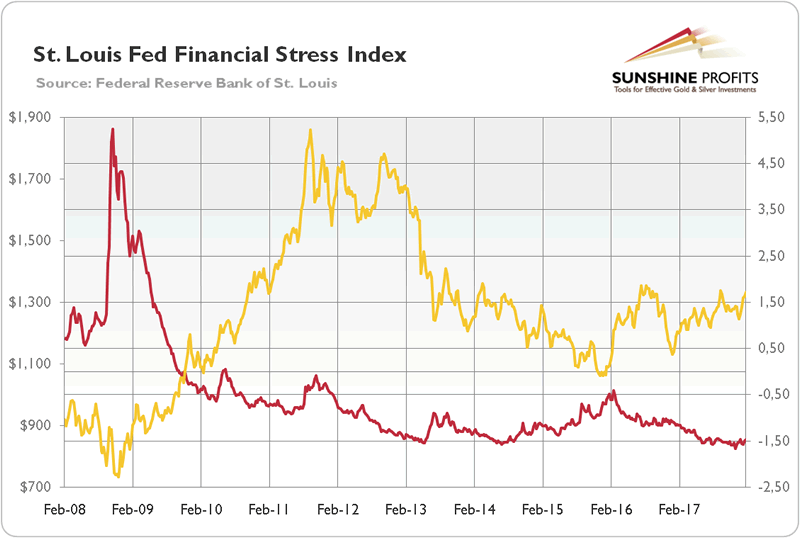 Chart 1: St. Louis Fed Financial Stress Index (red line, right axis, index) and the price of gold (yellow line, left axis, London P.M. Fix, in $) over the last ten years. As the WGC notices, asset prices hit multi-year highs around the world in 2017. Should global financial markets correct, gold could gain. True. But financial stress remains muted, as we have already noted. There are risks related to the asset market – this is for sure. But it doesn’t mean that financial crash will occur this very year. It seems to be just WGC’s wishful thinking. A bust can always happen – but the WGC should point out the possible triggers, not the mere possibility. Moreover, please notice a funny thing: “now” is always a great time for gold, according to the organization. When everything is fine and incomes rise, it’s good for the shiny metal, as the demand for jewelry increases. But when everything is doomed, it’s even better for gold, as investors shift from risky assets toward safe havens. Can you spot the bias? I bet you can. The gold market has become more transparent and efficient over the past few years. As the WGC reminds, in 2017, the London Bullion Market Association launched a trade-data reporting initiative, while the London Metal Exchange launched LMEprecious, a suite of exchange-traded contracts. These developments were introduced to improve price transparency and efficiency of transactions, and they could bear fruit in 2018. Splendid. But we dare to doubt whether these developments could significantly affect gold prices. The World Gold Council has published its gold market outlook for 2018. It analyzes four key themes which should influence the precious metals market this year. We examined the report critically and we believe that it’s not accurate. This year could be supportive of gold demand, indeed, but it doesn’t follow from the WGC’s report, as it omits the impact of an economic revival in the Eurozone. On the other hand, the WGC, as an organization related to the gold market, has a bullish bias and sees the upside potential even when it’s not there (as in the case of rising incomes). Investors who want to remain unbiased – as we are – and make profits thanks to sound judgments, shouldn’t, thus, base their investment decision solely on the WGC’s reports.